Independent contractors, consultants, freelancers and gig economy workers represent the largest growing group of the U.S. workforce. An estimated 56.7 million American freelance, providing other businesses with services and expertise that can’t be found in-house, oftentimes becoming an integral part of a company’s workforce. On the surface, independent contractors fulfill the same duties as regular employees, but sometimes the lines between independent contractors and employees get blurred, occasionally causing issues with the IRS. One of the benefits of hiring independent contractors is that you aren’t required to pay them a salary, benefits or withhold employment taxes in the way you would for employees. The IRS has upped its efforts to collect employment taxes and is cracking down on employers who misclassify employees as independent contractors. Statistics suggest that an estimated 3.4 million employees are being classified as independent contractors when they should be reported as employees. The consequences of getting it wrong can be categorized into two groups: unintentional or intentional misconduct. If you, as an employer, exert any type of control over when, where, and how the actual work is performed by an independent contractor, you may be getting into murky waters when it comes to employment classification. Don’t assume that just because you hire the worker as a contractor that the relationship has remained that way. 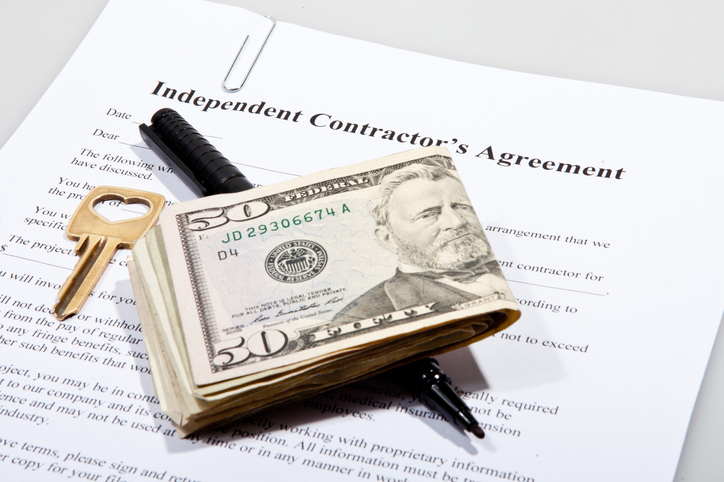 In the past, the IRS used a 20 Factor Test to determine if an employee was an independent contractor. Since then, it has been compressed into three general categories. Behavioral Control: Does the business have the right to direct and control how the worker does the task for which they were hired, through instructions, training or other means? Financial Control: Does the business have a right to control the financial and business aspects of the worker’s job, including how the business pays the worker, how the worker makes their services available, and the extent to which the worker has unreimbursed business expenses? Relationship of the Parties: Are there written contracts between the two parties, and does the business provide employee-type benefits like insurance, a pension plan, vacation pay or sick pay? If you’re still not clear on the difference between the two classifications, the safest bet is to classify the worker as an employee. Make sure to seek the advice of your accountant or attorney before doing so. In addition, the IRS can help make the determination for you via Form SS-8 Determination of Worker Status for Purposes of Federal Employment Taxes and Income Tax Withholding. There is a safe harbor! If you believe you may have misclassified workers, you may be eligible to reclassify your workers as employees for future tax periods through the Voluntary Classification Settlement Program. Again, be sure to talk to your tax advisor or attorney about the benefits and detriments of the program in relation to your business situation and risk. Learn more about the difference between contractors and employees by talking with a SCORE mentor. Also, check out this IRS guide to help you determine how to classify your workers.